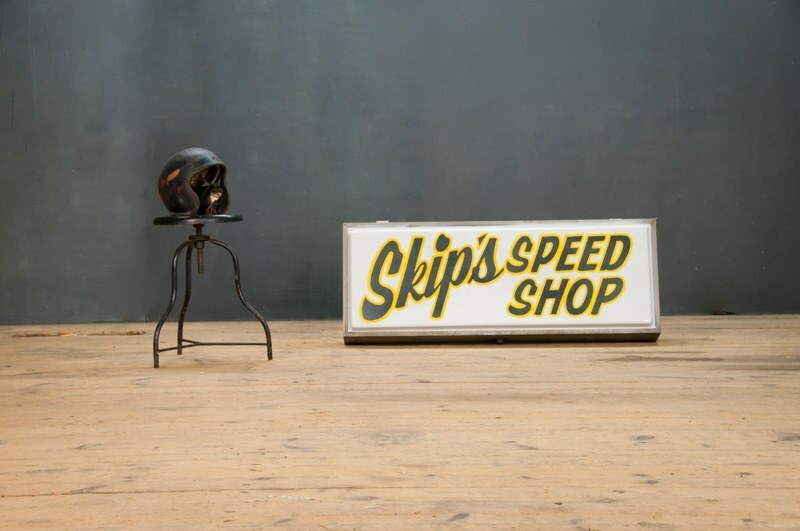 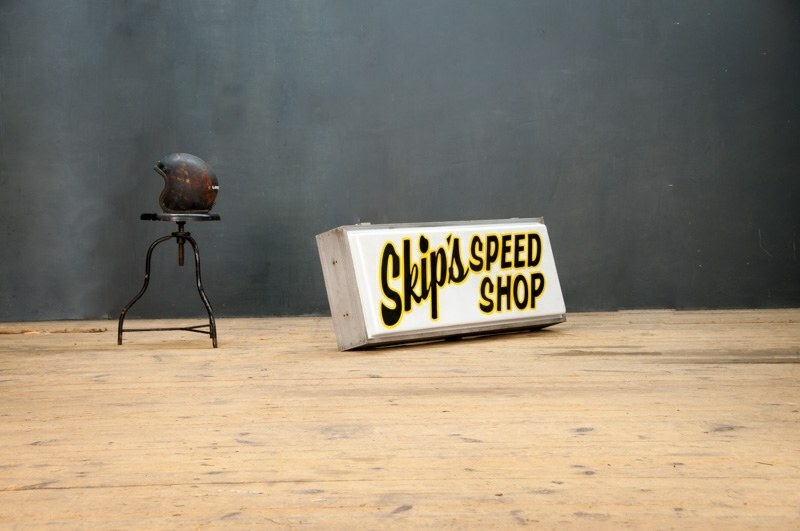 USA, 1970s, Vintage Skip's Speed Shop Illuminating Trade Garage Sign. 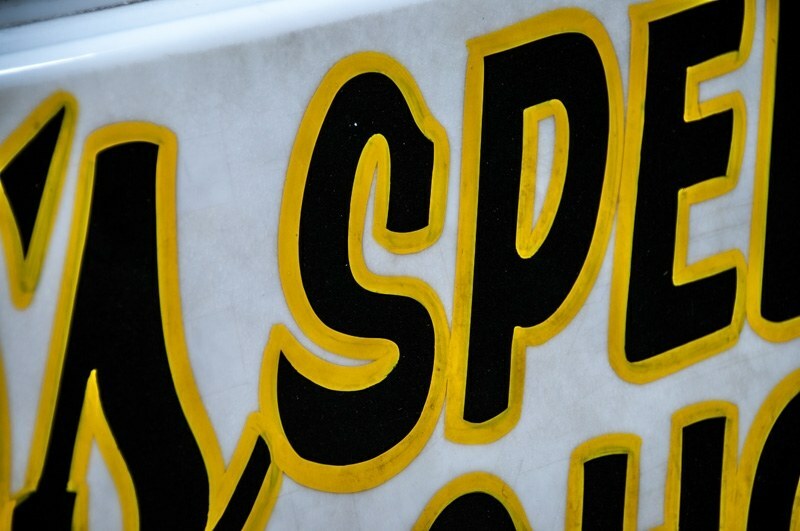 Elegantly, Hand Painted. 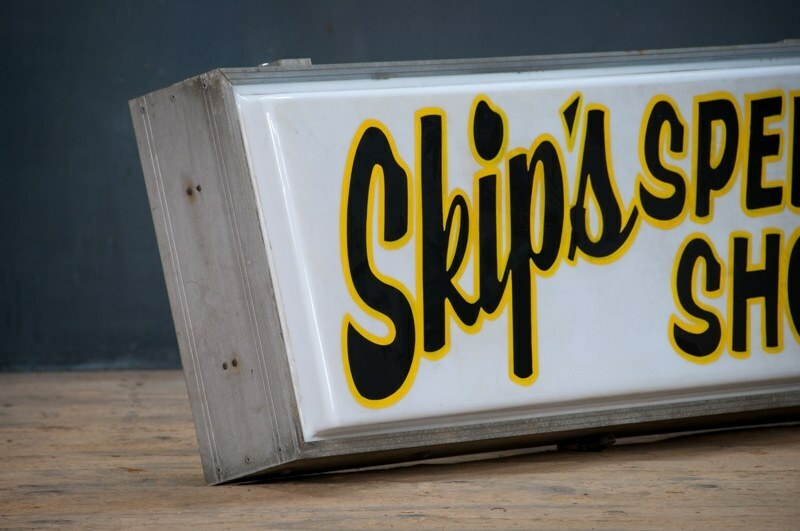 W: 48 x D: 8 x H: 18 in.